This female client suffered from panic attacks and anxiety, particularly when dealing with stressful situations such as work presentations, queuing in supermarkets or travelling on the tube. She had experienced these feelings regularly though the symptoms seemed to become particularly acute on a cyclical basis, approximately every 2 to 3 years. She was referred by her doctor after having been signed off work for 2 weeks with stress. She had previously been prescribed anti-depressants but, whilst they seemed to reduce the level of her anxiety, they had never fully eradicated it. She wanted to deal with her problems for the long-term. We recommended 8 sessions of cognitive behavioural therapy focused on teaching her practical coping techniques, challenging her prevailing beliefs and behaviours, and setting regular homework in between sessions to gradually desensitise her to the original stimuli. We also undertook two sessions of hypnotherapy to deal with the blushing she experienced when anxious. She is now able to travel comfortably on public transport and has not reported any feelings of anxiety or blushing in over 6 months since completing the therapy. I had suffered from panic attacks for 10 years, they were ruining my life, I never believed that I would lead a normal life. I was too scared to go out of the house; I was unable to work and lost touch with all of my friends because they didn’t understand what was wrong with me. I saw Richard because he was recommended to me, and really didn’t expect too much, but I was pleasantly surprised… Even after the very first session I felt a lot better, and for the first time actually had hope, he actually understood me and knew what I was going through, as he specializes in this field… Now 6 months later and with a combination of counselling and hypnosis I am leading a normal life… I have Richard to thank for giving me back normality, and I now appreciate life every day. This was the best investment I have ever made, how can you put a price on quality of life, and would recommend him for anyone suffering from anxiety. Thank you Richard. Hyperventilating is a typical response that can lead to new symptoms, such as confusion or cramps, as well as more of the same symptoms; making them worse and making you hyperventilate even more and become more panicky. They usually last for 5 or 10 minutes, though some come in waves over an hour or so. Cognitive behaviour therapy (CBT) is an effective treatment to help with panic attacks. Feelings such as worry, anxiousness, fear or panic can be mild, moderate or severe. The emotions of panic and anxiety can be constant, long term and can affect people’s daily life. Part of applying CBT for panic attacks includes the client understanding why an attack has occurred, acknowledging that it is a panic attack and learning techniques to deal with it so you can reduce its impact on your life. 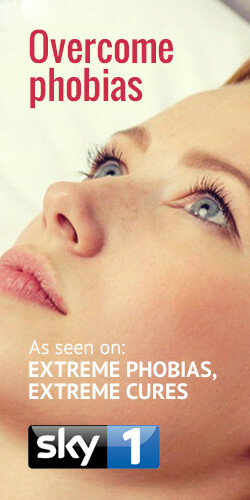 We treat panic attacks holistically and often blend therapies together. This is called integrative counselling, and is used so every client gets the treatment that works best for them.